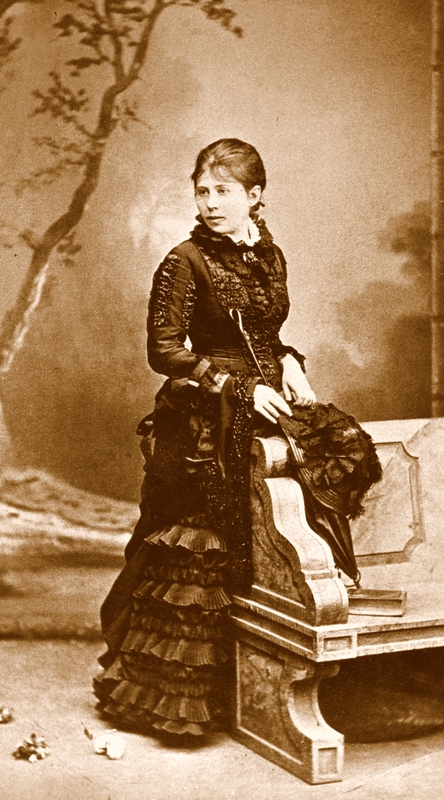 Maria Stanisława Konopnicka, née Wasiłowski, was born on 23rd May 1842 in Suwałki to Józef and Scholastyka, née Turska. Her father was a barrister for the Prosecutor General and at the Civil Court for the Governorate of Augustów*. She spent the first seven years of her life in this city by the Czarna Hańcza River along with her five siblings, Wanda Zenobia, Jan, Laura Celina, Zofia and Jadwiga Julia. The Wasiłowskis rented a flat in a building owned by the Zapiórkiewicz family, No. 200 ul. Petersburksa (Petersburska Street), now No. 31 ul. Tadeusza Kościuszki (Tadeusz Kościuszki Street) and the home of the Maria Konopnicka Museum. 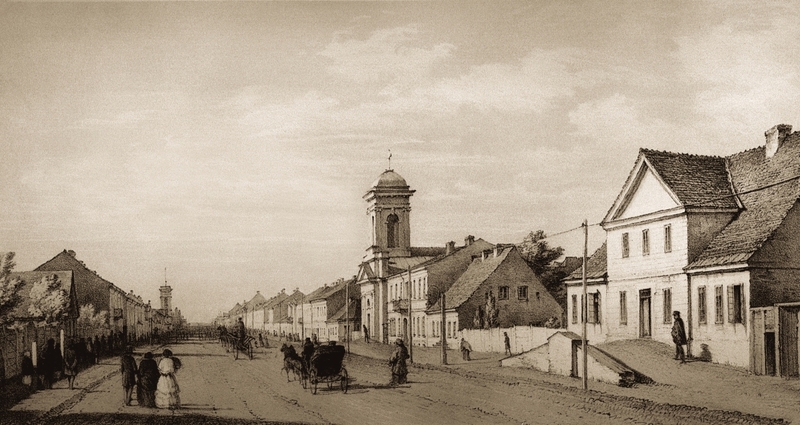 In 1849, the family left Suwałki and moved to Kalisz, a city located in the centre of the modern-day Poland. It was there that the youngest daughter, Celina Maria, was born. Scholastyka Wasiłowksa died in 1854 and from then on, the children’s father took sole responsibility for their care, upbringing and education. From 1855 to 1856, Maria was a pupil at a boarding school for girls run by the Benedictine Sisters of Perpetual Adoration of the Blesséd Sacrament in Warsaw. 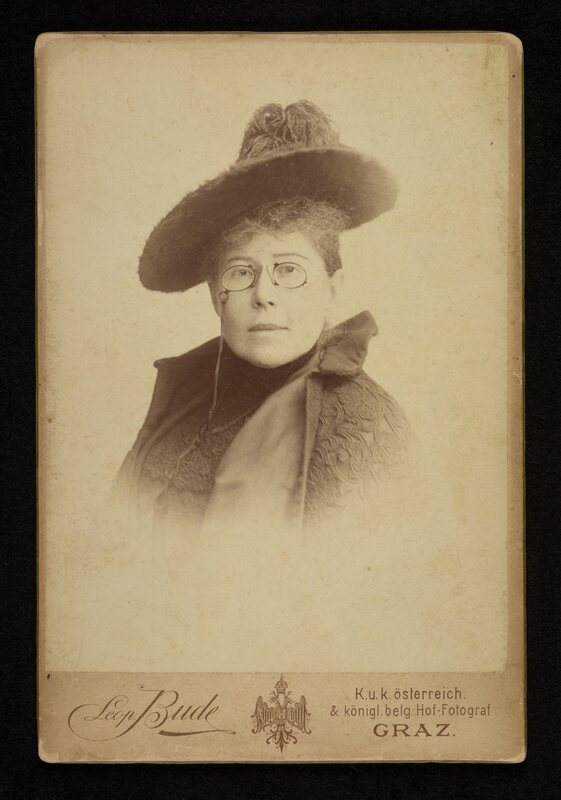 While she was there, she met Eliza Pawłowska, later Orzeszkowa, who went on to become a renowned writer. The friendship they formed at school would be a long-lasting one. In 1862, Maria married Jan Jarosław Konopnicki. 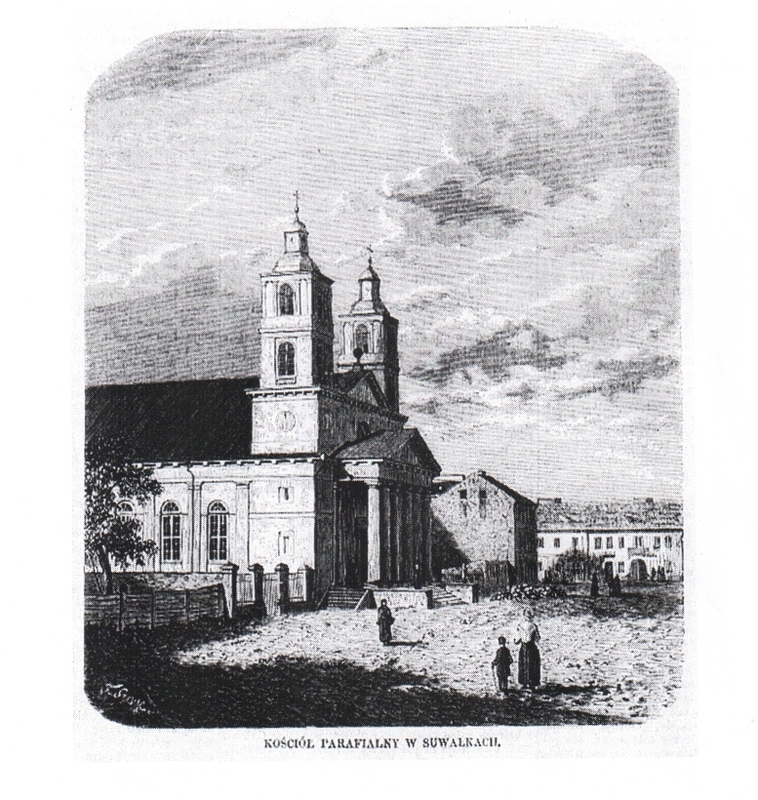 The newly-weds settled down in the village of Bronów, around seventy-five kilometres/forty-seven miles to the north-east of Kalisz. They made their home there in a family property managed by Jarosław. Later on, they moved to the nearby village of Gusin. 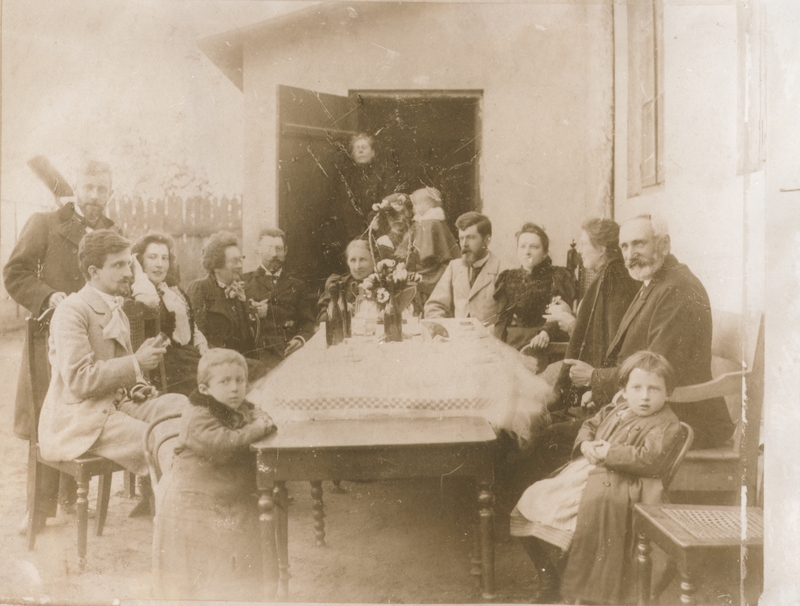 They had numerous offspring; Tadeusz (1863–1891), twin boys Stefan and Władysław (1863–1864), Stanisław (1865–1929), Zofia (1866–1956), Helena (1867–1904), Jan (1868–1930) and Laura (1872–1935). 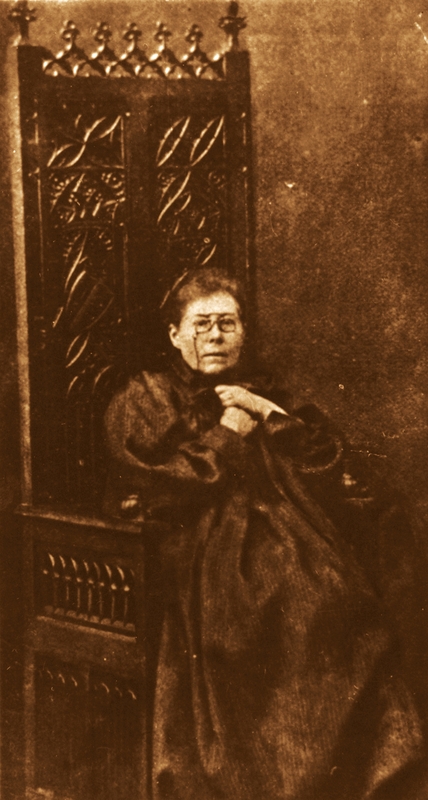 In 1870, Maria Konopnicka made her debut as a poet with a poem entitled Zimowy Poranek (A Winter’s Morn), which was published in a regional weekly newspaper, “Kaliszanin” (The ‘Kaliszian’). However, literary success only arrived with the publication of her W górach (In the Mountains) series of poems . One of the poems from the series, Przygrywka (Prelude), appeared in a Warsaw publication, “Tygodnik Ilustrowany” (The illustrated Weekly), where it met with an extraordinarily favourable review from a popular writer and future winner of the Nobel Prize in Literature, Henryk Sienkiewicz. His response to the poem gave Konopnicka her entrée to creative circles. In 1877, Maria moved to Warsaw with her children and dedicated herself entirely to literary work. 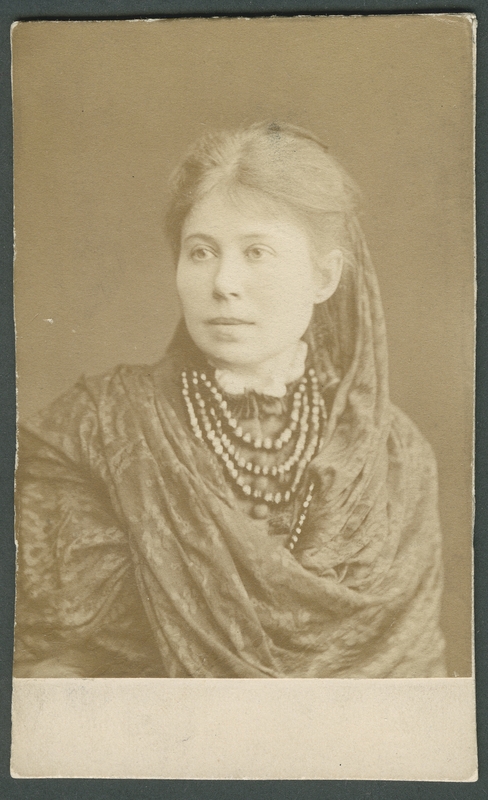 From 1884 to 1886, she was the editor-in-chief of “Świt” (Dawn), a scholarly weekly for women. On 13th February 1890, she left for Krakow, beginning what would become twenty-two years of travelling around Europe. Despite her continual wanderings, she never lost contact with her family and homeland, as her uncommonly abundant correspondence expresses. 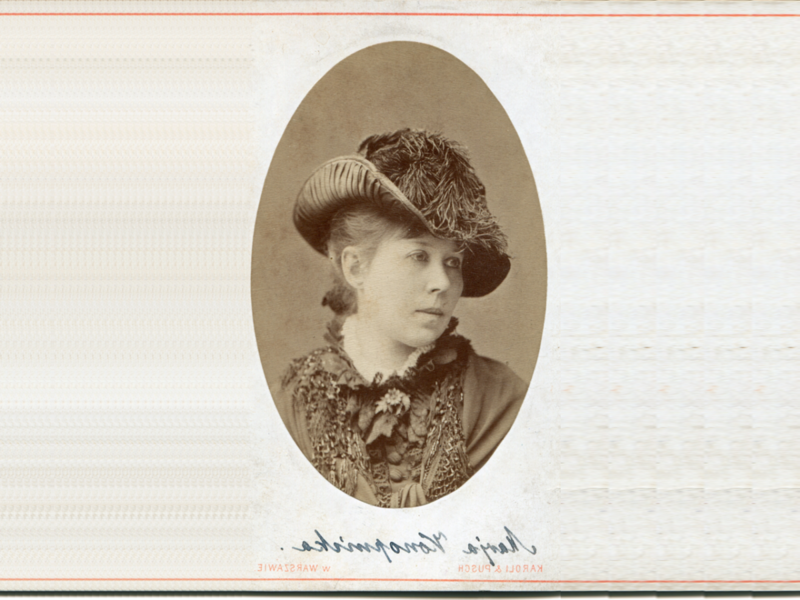 Konopnicka became famous as an author of lyric poetry, short novels and stories where she devoted plenty of space to social, folk and children’s themes and topics. Her patriotic writings won her particular renown, especially one song, Rota (Oath), which first appeared in 1908 in “Przodownica” (Leader), a monthly published in Krakow. It was set to music by Feliks Nowowiejski and sung in public for the first time in Krakow, on 15th July 1910, during the ceremonial unveiling of a monument commemorating the Battle of Grunwald, five hundred years after that historic Polish victory. In 1902, Konopnicka celebrated her silver jubilee as a writer; she had spent twenty-five years creating literary works. She received a gift from the nation; a small manor house in the village of Żarnowiec, in the region of the Bieszczady Mountains in the south-east of present-day Poland. She died on 8th October 1910 in Lwów** and was laid to rest in the city’s famous Łyczakowski Cemetery. *A governorate was the highest administrative division in the Russian Empire. 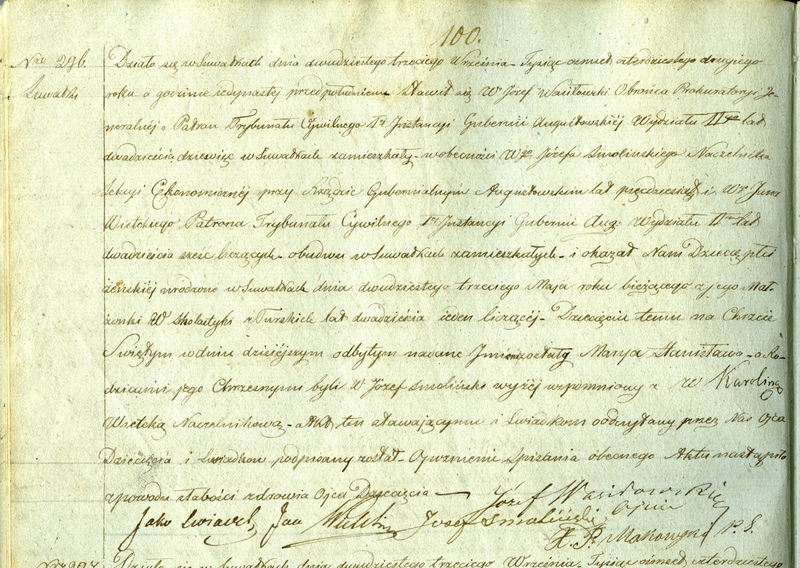 Suwałki lay under Russian rule as a result of the Partitions of Poland, in other words, the successive seizure of territory by the Russian Empire, the Kingdom of Prussia and Habsburg Austria in the second half of the eighteenth century. The sovereign state of Poland was eliminated and her lands were more or less completely divided by the three powers. She would not regain independence until 1918. ** Now Lviv in Ukraine. Z przeszłości. Fragmenty dramatyczne (From the Past. Dramatic Fragments; 1881), Wrażenia z podróży (Travel Impressions; 1884), Cztery Nowele (Four Short Novels; 1888), Moi znajomi (My Friends; // My Acquaintances; 1890), Na drodze (On The Road; 1893), Nowele (Short Novels; 1897), Ludzie i rzeczy (People and Things; 1899), Na Normandzkim brzegu (On the Normandy Coast; 1904), Pan Balcer w Brazylii (Mr Balcer in Brazil; 1909–1910). Poezje (Poems; 1881), Poezje. Seria druga (Poems. Series Two; 1883), Poezje. Seria trzecia (Poems. Series Three; 1883); Wybór Poezje (Selected Poems; 1890), Poezje. Seria czwarta (Poems. Series Four; 1896), Linie i dźwięki (Lines and Sounds; 1897), Damnata. Poezje (Damnata. Poems; 1900), Italia (Italy; 1901), Wybór pism (Selected Writings; 1902), Z mojej księgi (From My Book; 1903), Drobiazgi z podróżnej teki (Trifles from a Traveller’s Portfolio; 1903), Ludziom i chwilom (For People and Moments; 1904), Nowe pieśni (New Songs; 1905), Śpiewnik historyczny (An Historical Songbook; 1905), Głos ciszy (The Voice of Silence; 1906), Imagina (1912). Moja książeczka wierszem opisana (My Little Book Written in Verse; 1889), Wesołe chwile małych czytelników (Merry Moments for Young Readers; 1889), Wiosna i dzieci. Nowa książeczka (Spring and Children. A Small, New Book; 1890), Śpiewnik dla dzieci (A Children’s Songbook; 1891), Filuś, Miluś i Kizia. Wesołe kotki (Filuś, Miluś and Kizia, the Merry Kittens; 1891), W domu i świecie. Książeczka dla dzieci od lat 10 do 12 (At Home and Out and About. // At Home and Out in the World. A Book for Ten- to Twelve-Year-Olds; 1891), Czytania dla Tadzia i Zosi (Reading for Tadek and Zosia; 1892), Pod majowym słonkiem. Nowa książeczka dla dzieci napisana (Under the Maytime Sun. A Small, New Book Written for Children; 1892), O Janku Wędrowniczku. Dzieciom opowiedziała (Of Janek the Wanderer. Told for Children; 1893), O krasnoludkach i o sierotce Marysi (Of Dwarves and Little Orphan Mary; 1896), Szczęśliwy światek. Książka dla dzieci (A Happy Little World. A Book for Children; 1895), Nowe latko (The New Summer; 1896), Na jagody (Berry Picking; 1903), Jasełka (Nativity Play; 1906), Jak się dzieci z Rozalią w Bronowie bawiły (How the Children Played with Rozalia in [the Village of] Bronów; 1911). 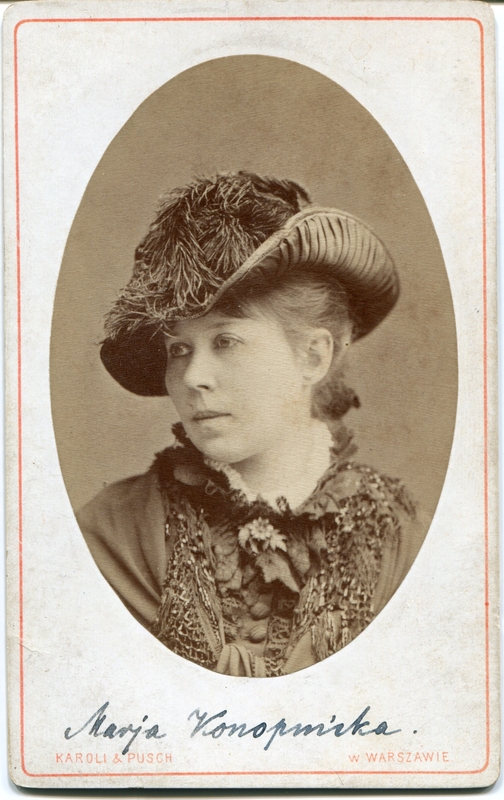 Maria Konopnicka, photographed by the Aleksander Karoli and Maurycy Pusch studio in Warsaw, 1879; from the collections of the Adam Mickiewicz Museum of Literature, Warsaw. *Maria Dulębianka was a painter, writer, social activist. Her friendship with Maria Konopnicka was a long-standing one.